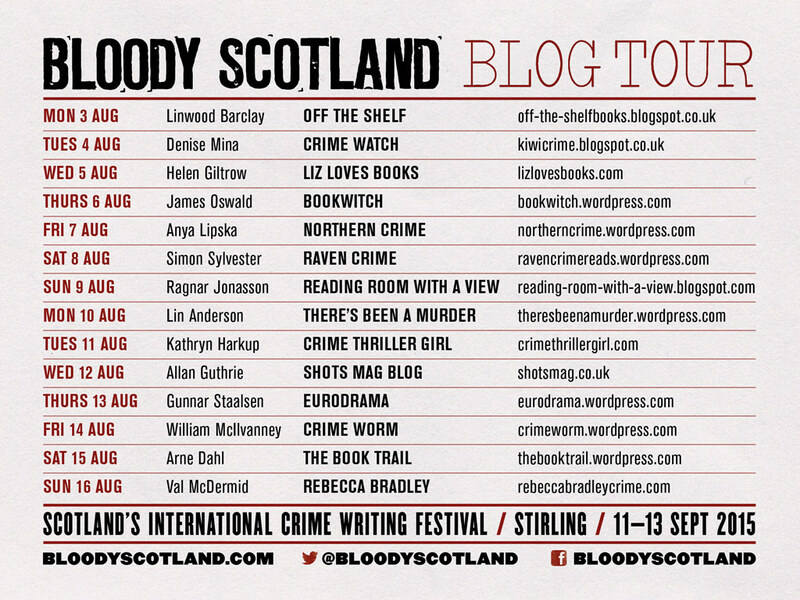 Today I’m thrilled to be part of the Bloody Scotland Crime Writing Festival #BloodyBlogTour and delighted to be welcoming the fabulous Dr Kathryn Harkup to the CTG blog. Kathryn’s background as an avid Agatha Christie reader, and chemist with a doctorate on her favourite chemicals – phosphines – plus loads of postdoc research, makes her perfectly placed to investigate just how much science fact went into the fiction of Agatha Christie’s novels. Her book A IS FOR ARSENIC: The Poisons of Agatha Christie does just that. It’s a fascinating read, investigating fourteen of the poisons Christie used in her books and looking at the scientific reality behind the poisons, the feasibility of getting hold of them, administering them, and detecting them historically and in modern times, and comparing actual cases with the murders written in Christie’s books. The premise of A IS FOR ARSENIC – a book focused on fourteen of the poisons Agatha Christie used, and the novels she used them in – is so intriguing. What was it that first gave you the idea? It came about from a discussion with my editor at Bloomsbury. At first I was going to base each chapter on a different Agatha Christie book, but as I started researching it I realised it would be better to base the chapters on the poisons and draw on several different books for each. As I worked on it, and chatted about what I was doing with friends, I got asked the question ‘are you ordering it alphabetically?’ I wasn’t at that point, but when they asked me it seemed a great idea. You say in the book that you’ve been a Christie fan since you were a teenager. How did you decide which poisons to feature in A IS FOR ARSENIC? Well, the ones everyone knows were easy to pick – like cyanide and barbiturates. Some poisons have the most fascinating histories, in the way they were used, or in medical terms, so I picked them too. The science is subtle in Christie’s work, but it’s all there, so I re-read all her books, made a list and revised down from there. The list of novels including arsenic and cyanide was huge, but including Sparkling Cyanide was an obvious must! In the book, you show how each poison was used in Christie’s novels, and investigate the feasibility of its use both at the time the novel was written and in the present day. How did you go about researching this? Lots of background reading! Scientific texts and Christie’s novels. My Google search history is amazing – I must be on all kinds of watch lists! The British Library was great, they answered all my many questions and were so helpful. Reading isn’t a chore when what you’re looking at is so interesting. I just wish I could have fitted in more [to the book]! What was your favourite part of the writing process? The reading and the research. I love learning new things so any opportunity to do so is fantastic. As the focus of A IS FOR ARSENIC is so specific I had a clear goal and could be really structured in now I did the research. Have you been tempted to follow in Christie’s footsteps and write a novel? No! I absolutely couldn’t. I’m in awe of people who do. Having read 83 of her books I’ve only once guessed the murderer! I’d be rubbish at writing fiction – I’m creative in some ways, but not in that. You could say that the focus of my work is very different to Christie’s – my aim is to illuminate how things are done, Christie’s was to disguise and cover. If you had to pick one Christie novel, which would you say was your favourite? For sheer fun it would have to be the ABC Murders, but there’s no poison in that. So, if you’re after a poisoning one, I’d pick Five Little Pigs as it’s so well plotted, with the poison symptoms threaded so brilliantly into the plot. You and Christie share a passion for chemistry. Do you think that reading her books had any influence on your choice for career? I’d like to say yes, but I doubt it did. It was the problem solving aspect of Christie’s books that I loved so much. And you could say it’s the problem solving, puzzle, aspects of science that interests me. In terms of the chemistry in her novels, I think it probably passed me by back then. Christie explains all the necessary information, but does it in a way that doesn’t make you feel like you’re having a science lesson. Christie was a pioneer of her time, both in terms of her writing and also as a women working in a scientific profession. Still today there are far fewer female than male scientists; what do you think can be done to encourage women into science? I think it’s great that there’s lots more popular science around now. It makes everyone more aware of science. When Christie was working and writing science was a lot more distant – it was mainly done by men who’d been to University – but now it’s more accessible. I would really encourage anyone – whatever background or gender they are from – who wants to do science to do so. You’ll be appearing at the Bloody Scotland Crime Writing Festival in September. What can the audience look forward to hearing about during the event? All sorts of disgusting stories about horrible poisons! It’ll be good fun. Christie has a great humour to her books. Also, as far as it’s possible, I’ll talk about the good things about poisons too. The main thing I want to do is to show how awesome Agatha Christie is and how great the science behind her books is too. And, finally, what does the rest of the year have in store for you? I’ll be very busy this autumn going all over the place talking about Agatha Christie and her poisons. I’ll also be doing more research and more writing. I have the best job! Huge thanks to Dr Kathryn Harkup for spending time chatting to us about A IS FOR ARSENIC: The Poisons of Agatha Christie. 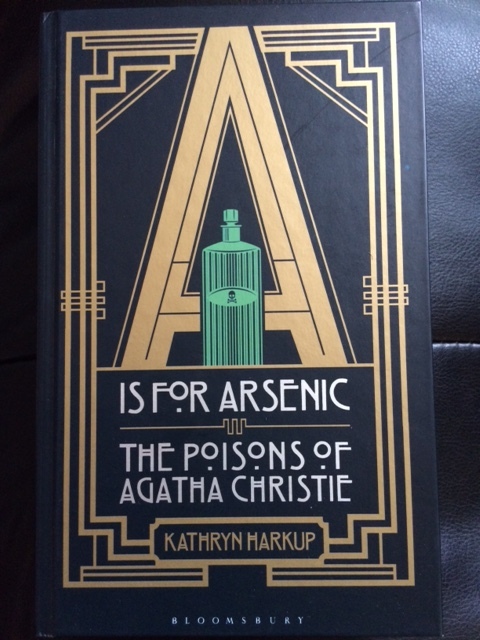 And be sure to check out A IS FOR ARSENIC: The Poisons of Agatha Christie – it’s a fabulous read and a real must for fans of Agatha Christie, murder mysteries, and anyone who wants to learn more about the real life science behind the poisons used in fiction. The book is published on 10th September by Bloomsbury. To find out more and pre-order, click here to go to Amazon.